If Women Were Less Poor, Would There Really Be Fewer Abortions? Reducing poverty and lowering the abortion rate are two different things—for a reason. If there were less poverty, would there be less abortion? At first, the answer seems an obvious yes. After all, in 2014, 49 percent of the women who had abortions were poor, and 26 percent were low-income—far more than their proportion in the population at large. In a 2005 survey by Guttmacher Institute researchers, 73 percent of women seeking abortion said they couldn’t afford to raise a child. A 2013 study by M. Antonia Biggs, Heather Gould, and Diana Greene Foster found that 40 percent of women cited “financial reasons” as a reason to have an abortion. Some otherwise progressive anti-choice Catholics—Elizabeth Bruenig and Charlie Camosy, for example—argue that if those women had had more economic support for motherhood, they would have had their babies. Is this correct? Not necessarily. In both surveys, women could give multiple answers. In the Guttmacher study, 74 percent said that “having a baby would dramatically change my life”; 48 percent said they didn’t want to be a single mother or were having relationship problems; nearly 40 percent said they had finished their childbearing; and almost one-third said they weren’t ready to have a child. In the 2013 study, 36 percent said it was “not the right time for a baby”; 29 percent needed to focus on the children they already had; 14 percent said having a baby now would interfere with their education; 7 percent said they were not independent or mature enough; and 3 percent said they never wanted kids. In both studies, around 12 percent cited health problems, either with themselves or the fetus. As with many other important life decisions, the reasons are intertwined and quite individual—as varied and personal as the reasons women give for having a baby. In the 2013 study, a mere 6 percent gave finances as the only reason for ending their pregnancy. A glance at the social-welfare states of Western Europe shows that when it comes to motherhood, money isn’t everything. Behind the notion that abortion is mostly due to poverty is the idea that women basically want to have a baby, or at least would prefer it to ending a pregnancy—even if the pregnancy was unplanned, ill-timed, or under personally inauspicious circumstances. Given enough support, who wouldn’t want to have a baby with her freshman-year boyfriend or her stalkerish ex? Raising three, four, or more kids as a single mother, even though you only wanted two? No problem. A glance at the social-welfare states of Western Europe, though, shows that money isn’t everything. These countries offer more support for single parents and families than the United States ever will. In Sweden, besides programs that reduce poverty dramatically, everyone gets nearly free health and childcare, as well as parental and family leave, a monthly allowance that increases with each child, and much more. And yet the rate of abortion in Sweden is higher than in the United States: 17.5 per 1,000 women, to our 13.2. Also, while Sweden’s rate is on the high side, France, Denmark, and even Canada also have higher rates than we do, despite less poverty and more support for families. True, Germany (7.4) and the Netherlands (8.5) have lower rates, but not necessarily because German and Dutch women welcome unplanned children. The Dutch fertility rate of 1.7 children per woman is lower than ours (1.9, same as Sweden’s), and the German rate (1.4) is one of the lowest in the world. In countries where the birth rate and the abortion rate are both low, women must be doing some ferocious contracepting. For obvious reasons, even progressive Catholics tend not to mention birth control much when they talk about lowering the abortion rate. But as the United Nations Population Fund, among others, has found, widespread effective contraception is the only way to significantly reduce abortion. Those states that reduce poverty also provide ready access to birth control. Let’s assume that we want all women, not just mothers, to be less poor. In that case, women would be less likely to get pregnant accidentally. Their lives would be more stable and their healthcare more consistent. That would mean fewer abortions. But by the same token, if they were less poor, they might be more likely to end unintended pregnancies—because they could afford to do so. That would mean more abortions. Right now, restrictive laws can raise the cost of a clinic visit from around $500 to as much as $1,500, and plenty of women can’t put the money together in time. What if they were making $15 an hour? Had paid sick leave? A guaranteed annual income? 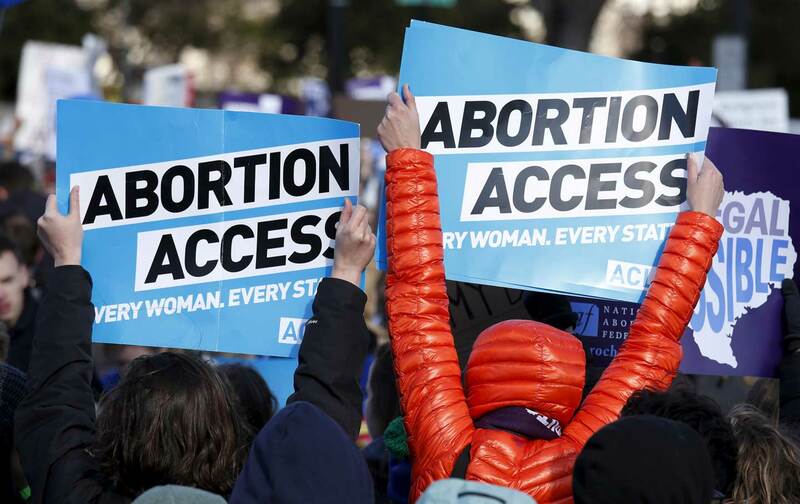 The abortion researcher Stanley Henshaw found that one in four pregnant women on Medicaid were unable to have an abortion when state Medicaid barred abortion coverage, as in 32 states and the District of Columbia. What if the single-payer insurance that progressives want covered abortion? Family benefits might encourage a woman to keep a pregnancy—or they might encourage her to focus on giving her existing child(ren) the best possible life by finishing school or getting a job. I realize I’m just speculating, but it’s worth noting that while poor women have more abortions than better-off ones, they also have more children. If they were less poor, they might want fewer kids for the same reasons that middle-class women do. Just to be clear, I completely support government policies that lessen—eradicate!—child poverty and ease the lot of mothers and families. If state benefits meant that more women could keep pregnancies they wanted and avoid abortions they found morally wrong, that would be excellent. But lowering poverty and lowering abortion are two different things for a reason. Being a mother is always going to require an enormous personal investment of money, energy, time, and emotion. It can be a joy—my daughter is my heart’s delight—but there’s a reason the word “sacrifice” comes up a lot when people talk about motherhood. There are reasons, too, why women around the world increasingly want small, planned families that are started later, when the rest of life—education, work, partner, personal well-being—is on track.